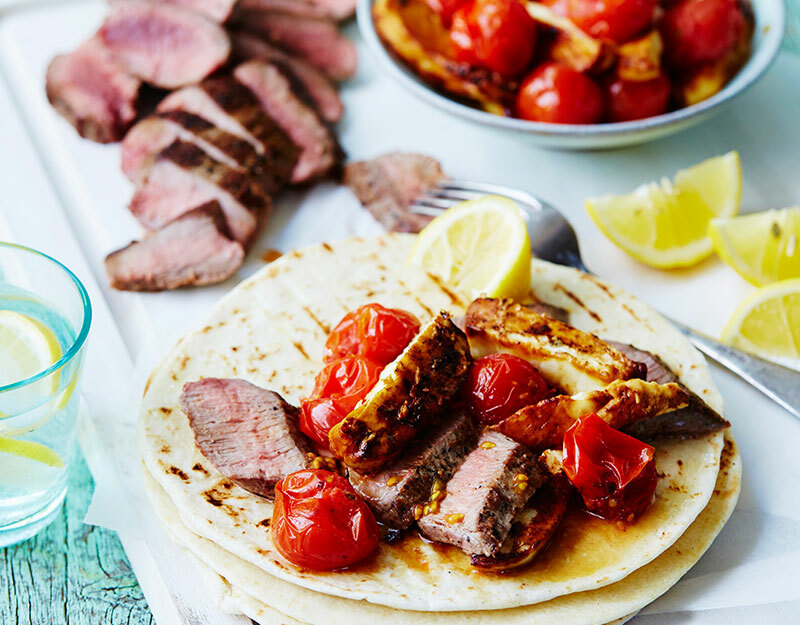 Gather the family and enjoy wrapping the delicious lamb in Lebanese bread. 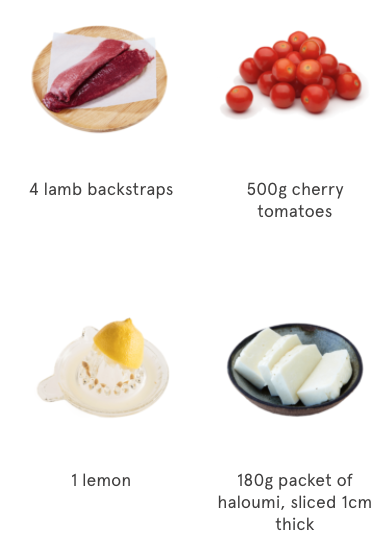 Bring the lamb to room temperature before cooking, to help cook quickly and more evenly. Season generously with sea salt and cracked pepper. Heat a large non-stick frying pan, over medium high heat, add 1 tbsp. olive oil. Cook the backstraps for 4 minutes. Turn. Cook the second side for a further 3 minutes. Remove to a cutting board to rest for 5 minutes before slicing to serve. Into the pan juices add the tomatoes, season with salt, pepper and a splash of lemon juice. Sauté, shaking pan frequently, until tomatoes soften and skins just begin to wrinkle, about 2 minutes. Into the pan, place the haloumi slices. Cook for 1 to 2 minutes, gently turn and splash with a good squeeze of lemon juice. When golden in colour, remove from the pan and serve on a platter with lamb and tomatoes.